So you've read about our 4G speed tests, and now you want to know how your smartphone or cellular-modem speeds stack up to our results. You have a few easy ways to conduct such tests yourself. Testing network speeds is a messy business. To measure your Internet connection's throughput, these apps will test the transfer rates between your smartphone or PC and the closest test server available. However, the test data will make several stops between your device and the test server--which means network congestion or signal interference will have plenty of opportunity to slow down your overall connection. If you're trying to compare different devices on the same carrier, or speeds between different carriers, you'll get more accurate results if you try several tests in the same time and place, and keep track of the different speeds. Don't base your results on a single test--everyone has a bad network day every now and then. If you don't already use Speedtest.net, you should--it's an easy way to test your home or office's Internet connection for bandwidth and latency. Of course, you can also use this service to test your PC's cellular Internet connection (either via built-in cellular Internet or a separate modem, such as the MiFi). All you have to do is navigate over to Speedtest.net and click the Begin Test button, and the site will match you up to the nearest test server and put your Internet connection through its paces, which is handy for checking to see if your ISP's reported speeds match your actual speeds. 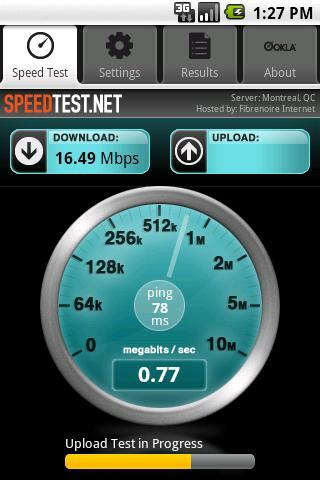 Speedtest.net's testing Web app relies on Flash, so it might not work quite as well on your smartphone browser. Fortunately, if you have an Android or iOS gadget, you can grab the appropriate free Speedtest.net app and try it yourself. Some users have reported problems with the app's automatically assigning a test server located on the other side of the world--when we tried the Android app, it thought we were in Kansas instead of California. If the same kind of thing happens to you, open the Settings menu and manually choose the closest server possible. The farther away the test server is, the more network hops your data has to make to get there, which means that you'll see slower speeds and lower pings that aren't necessarily reflective of your actual network speed. Not on an Android or iOS smartphone? Don't worry, you still have speed-testing options. BlackBerry users can try the Cisco Global Internet Speed Test (GIST) app, though judging from the comments in the AppWorld listing more than a few people have had problems with its either using a test server that is too far away or simply refusing to work altogether. Still, it's worth a shot. 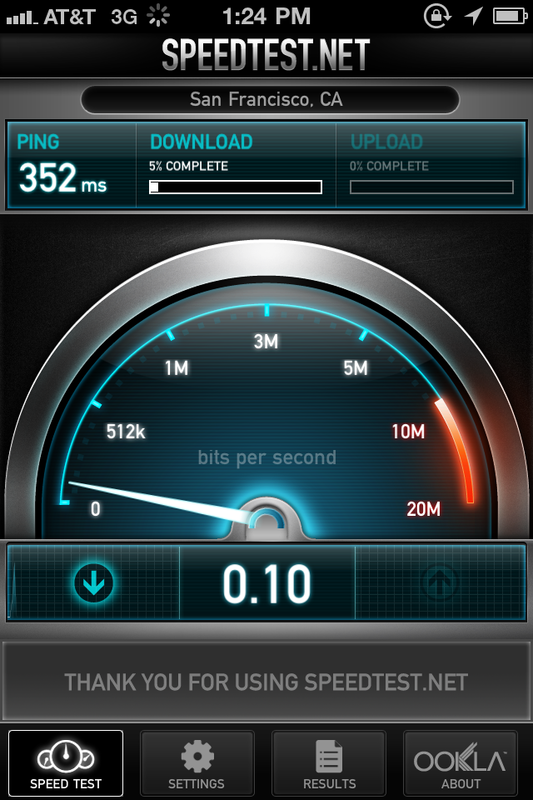 Windows Phone 7 users, on the other hand, should grab BandWidth, a quick-and-dirty testing app. It's listed in the Marketplace simply as "BandWidth," but you can read a bit more about it in this XDA Developers thread.